If you asked me, who are the best travelers, I would tell you the truth and not cliché explanations. 1. Oil Workers - They have tons of money. 2. Military Soldiers - The governments pays their way. 3. Traveling Salespeople - Because their business pays for it. 5. Retired Ex-Hippies - Their retirement Pension pays, and they are braver. - Their passion or love pays for it. 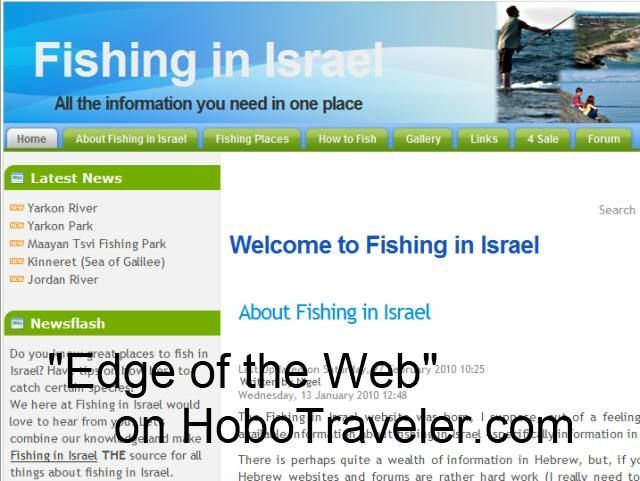 Fishing in Israel, this is one of them special reasons to travel, and online advertising is needed for these Edges of the Web topics. "The reason HoboTraveler.com does well is because we have topics at the Edge of the Web." I realized there were thousands if not millions or reasons to travel; I made this page on the type of Travel over 10 years ago. 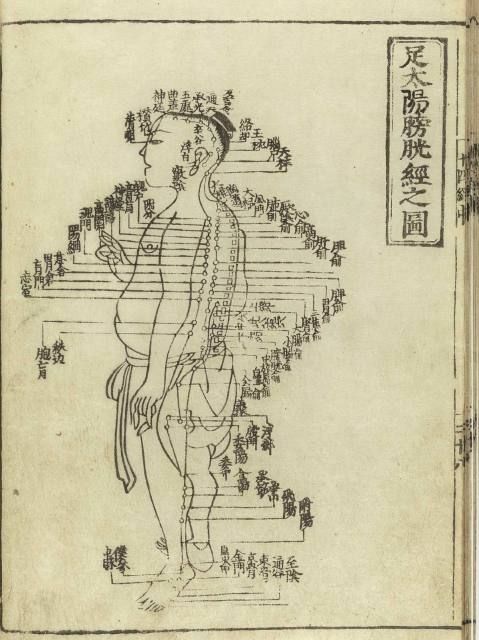 Presently one of the fashionable activities in Pana is "Needless Acupuncture." When my friend Linda told me about this, my first thought was. "Hmm, where would theses people submit their web sites?" I said to myself, the new project of Boy Genius and me will allow me to add these new topics quickly and painlessness on my part. If you read about travel too long as I have, you will eventually learn that travel writers have this desire in-the-back-of-their-heads to write travel guides. They will start to list out all the categories. Boring, boring and boring, and I hope this does not describe me. I guess the same happened to me; however, I have focused on allowing exotic web sites at the edge of the web to do online advertising. This is my secret to travel, I seldom go after the cliché travel topics, and I try to explain the edges of the web topics. I fell into the 'unwanted' category when I left USA and decided to give 'Ex Patting' a trial run. By the way, there are never any 'guarantees'. There was no Internet, neither ipods, cellphones or blackberries when I arrived in Mexico City December of 1985. Bank transfers from US often took up to 3 weeks, and phone calls home were expensive, remember sending postcards and writing letters frequently! old snail mail. One plus was that in the pre-Internet era Ex Pats, Travelers and Volunteers along with locals were pretty much relationship oriented. Backpackers came to the gringo watering holes in downtown Guate City, Antigua and Lake Atitlan and told their travel stories, good, bad or ugly. No laptop, no wi fi, no cybercafe. The good ol' Coconut Telegraph. So I confess, did not send my first E mail until 1996 and really did not learn the Internet until 1999-2000, so sorry, can't talk techie with anyone. Your Post right on the button. I fall into your 'category 5' and do not regret for one second that I left the States in late 1985, easy for me since I had a ready made 'social network' of long term ex pats and bi and multi lingual locals waiting for me upon arrival. Like many others before and after me I re-invented myself and finally after years of trial and error, grew up! Lot's of newbies on the standard 'ex pat' and 'long term traveller-volunteer' forums don't realize often one must adapt and reinvent themselves, and the same as at "home", there are those who hope, cope and manage in their new life abroad and those who 'Cannot or will not', for example now about 60+ per cent of those who relocate to 'paradise' in Costa Rica return to their home country within a year. Some travelers get 'tropical fever', decide to relocate and make or break, all depends on the individual. ¡Fijese..! ** **Ask any Guatemalan or Ex Pat what 'fijese' means. I have a Mexican and Central American 'way off the beaten path' (off the edge I guess) 'bloq' with some text, some url's and some humor. If you wish able to submit. I was not planning to Travel when I started, I went to Mexico hoping to start a Hostel or Hotel. I never had enough money to start this, and slowly started following people south to Guatemala. I think the confusion for people, after I lived in Mexico in Hotel for about 10-20 a night for roughly 1-2 years, I learned how to trade websites for room. I lived for about one to three years by trading a web site on Virtural Avenue or Geocities etc. This cut out my biggest expense, the room. I then had to travel or eat food cheap. I can always eat for less than 3-5 dollars per day. Many, many things happened, I taught English, I made a webpage, I got donations, I lived cheaply. I can for sure say, I never had more than 25,000 dollars in my account when i started, and I do not have residual or monthly paying money. Generally, I was willing to sacrifice comfort to continue traveling, I am very smart, I can get a great deal for a room when everyone else gives up. Online Advertising here is about the abilty of another web site to advertise for free, I have slowly found how to allow the strange sites to advertise their travel sites. 3-5 years of work with no money is needed for a business. I had two businesses before I started my website. Any busy or website can succeed if the person works until it is a success. I knew this when I started the website, the site was not an instant success. "Hey money is money" is NOT my idea on HoboHideOut.com. HoboHideOut.com is heading in the right direction. Small Hotels are always the last to understand how to market their hotels. All Hotels have the same opportunity to post their Hotels. There is no special right for large or small hotels. What is different here I allow the online advertising opportunity to exist, while other sites do not. We have 1400 Hotels on the site, it will not become valuable to readers until it has about 15,000. I know this, we are in the populating process. Eventually we will hire data entry people to enter hotels whether they agree or disagree. HoboHideOut.com is FREE and will remain FREE. The site is 100 percent solvent, makes plenty of money to exist, there is no problem paying the bills. Unlike other sites I planned it as a business, not on a hope of making money, I knew the game and stayed within budgets. Hobo Backpacks are in the works. I am in Guatemala to make backpacks. I am in the process of weaving together all the aspects of making and selling backpacks.